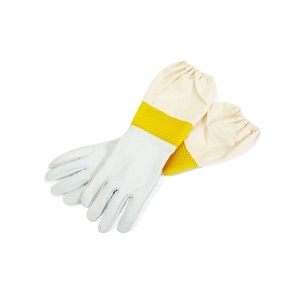 Little Giant Goatskin Gloves provide dexterity and protection when working with bees. The gloves are complete with elastic cuffs to keep bees out. The soft and pliable goatskin offers superior mobility and flexibility. Available in two sizes: Medium and Large.